Hi there!!! Happy Halloween everyone!!! I made this card earlier on this week but knew I wanted to save it until today so that I could wish you all a happy halloween. 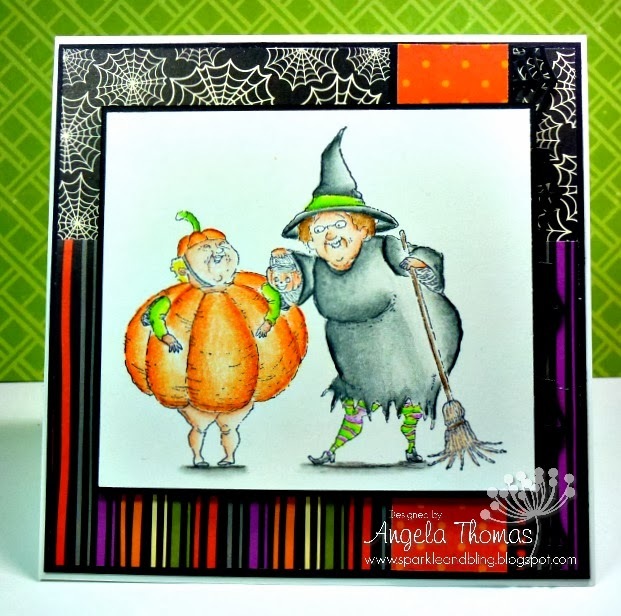 For my card, I have used Trick-or-treataritas from Stamping Bella. Aren't they hilarious??? I can't decide if I'm the short squat one or the witch? Maybe it depends on my mood... LOL! I stamped the image with Archival black ink and then colored with Prismacolor Pencils and Gamsol. The layout for my card is the current Sweet Sunday Sketch challenge that I flipped to make the image work better. Did you notice that Em hates the colder weather???? 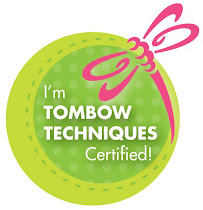 She's have a "just because" sale as a result so everything in the store is 20% off!!! Just use the code novembersale in the store.